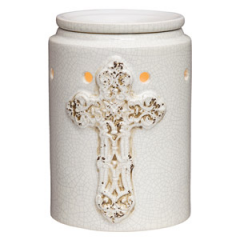 The fanciful frills of doilies and wedding gowns combine with an uplifting message in the Scentsy Lace Hope Nightlight Plug In Warmer, a beautiful opaque white warmer that glows from within. 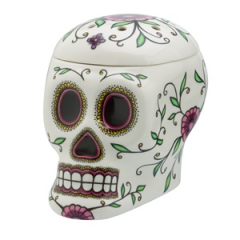 Even in the darkest times, hope shines a light – now you can enjoy it alongside lovely lace accents in the Scentsy Lace Hope Nightlight Plug In Warmer. 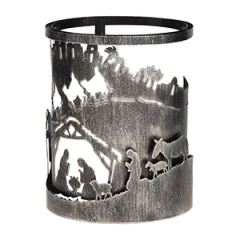 This white, delicately beautiful plug-in glows with a soft light in the center that highlights the raised edges on the outside. 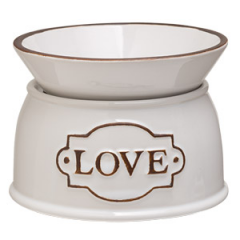 The delicate decorations of tablecloths, doilies and classic wedding dresses, you’ll fall for the raised lace detail edges in this warmer! 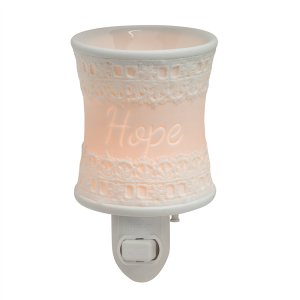 The Scentsy Lace Hope Plug In Warmer marries a distinctly feminine flair with an inspiring reminder to “Hope” on an opaque white ceramic. 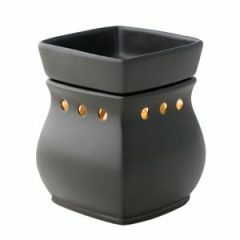 This lighthearted nightlight warmer glows a warm gold-pink when the warmer is turned on, accenting the raised features. 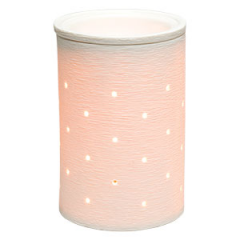 Simply add your favorite Scentsy fragrance to this lacy beauty and enjoy the heartwarming glow!